The cement mill is mainly used to grind cement clinker in cement production process, and it also applies to grinding various ores and other grindable materials in industrial and mining enterprises such as metallurgical plant, chemical plant and power plant and so on. Our company has more than 40-year experience on the manufacture of cement mill, the quality of our product takes a leading place around the world, providing mature and reliable solutions for many cement production lines at home and abroad. 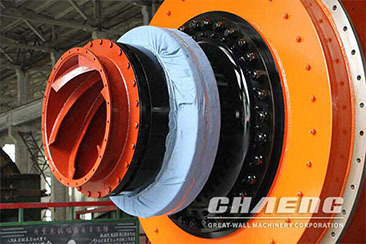 Our double sliding belt cylinder mill is the domestic first mill that has fundamentally resolved the difficulty of “cannot run continuously due to overheating of sliding belt axis tile at the discharge end” compared with similar product, which therefore won the national practical new type patent, patent No. ZL201020285841.9. Many examples have demonstrated that the equipment can run steadily and continuously for a long time. We have rich experience on the manufacture of cement mill, and our technology take a leading place in the industry. Compared with other products in the same industry, the output increases by 15-20%, power consumption reduces by 10%. Moreover, the temperature of finished product can reduce by 10-20℃. 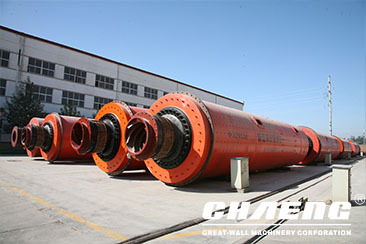 The cement mill is composed of horizontal cylinder, hollow shaft and other parts. 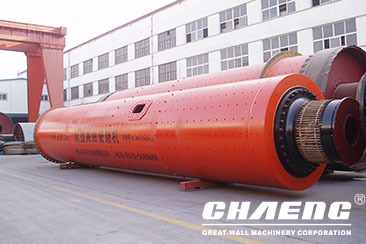 The cylinder is long round barrel, and there are grinding media in it. 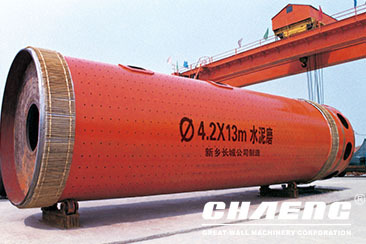 The cylinder is made of steel plate, and there is steel liner fixed on the cylinder. The grinding media are usually steel balls, which are placed in the cylinder according to different diameters and certain proportion. The grinding media can also be steel forgings. When the cylinder rotates, due to the centrifugal force, the materials and grinding balls press close to the liner; due to the frictional force, the cylinder send the materials and grinding balls to a certain height; and then due to the gravity, the materials and grinding balls fall simultaneously and the grinding balls crush the materials. Meanwhile, sliding friction generating between the materials and liner grinds the materials, achieving the purpose of grinding the materials. There is high-quality wear-resistant liner in the cylinder. With strong wear resistance, its life time is lengthened effectively. The double sliding belt structure is adopted, increasing the stability and running time of the equipment. The advanced partition for powder selecting and discharge grate greatly improves the efficiency of grinding and selecting. The gap between the bearing cage of sliding belt and the base is sealed with rubber and sealant. While working, the seal is strengthen to prevent the oil from leaking. 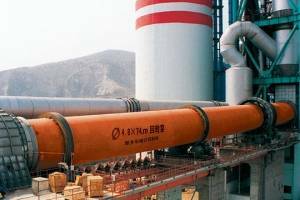 5000t/d Cement Production Line of Hubei Century Xinfeng Leishan Cement Co., Ltd.